Antigua and Barbuda’s Minister of Foreign Affairs, International Trade and Immigration, the Honourable E.P. Chet Greene MP, met with the UK Prime Minister, Theresa May, at No. 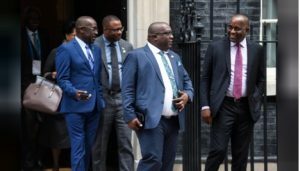 10 Downing Street, as part of a CARICOM delegation on Tuesday afternoon to discuss the ongoing case involving undocumented Caribbean migrants in the UK. The delegation was invited by the UK Prime Minister for a private meeting to discuss the issue which has raised widespread public condemnation in the UK. In the meeting, the delegation pressed the UK government to address a growing concern of Caribbean born migrants who had moved to the UK prior to1971 at the invitation of the UK government to assist with the rebuilding effort after the war. 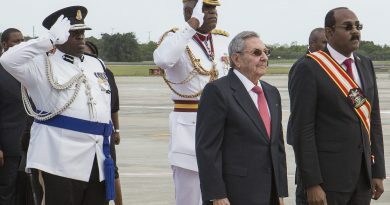 Some of these migrants are now being treated as illegal immigrants and face detention and deportation to the Caribbean, despite having lived in the UK for in some cases nearly six decades. Others are losing entitlements to critical public services until they can satisfy onerous documentation requirements authenticating their UK status. Antigua and Barbuda has stood in solidarity with its CARICOM colleagues in their stance that this policy is unjust as it places too burdensome a requirement on these nationals. In her remarks on Tuesday, the UK Prime Minister apologized to the 12 Caribbean nations for the immigration officials’ treatment of those deemed undocumented migrants. She said, “I want to apologize to you today because we are genuinely sorry for any anxiety that has been caused,”. Prime Minister May gave her commitment that going forward the Home Office would work with these individuals to ensure they get the necessary documentation in place to remain in the country. The Home Office has since indicated that it has waived all fees associated with the process of securing the necessary documentation to establish their nationality and would cease all detentions and deportations of these persons. A new dedicated team has also been established to assist this class of citizens. The Caribbean delegation also used the opportunity to discuss other matters affecting the Caribbean with the UK Prime Minister. 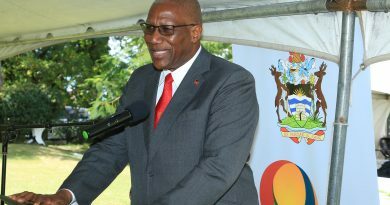 Minister Greene raised the need for sustained support from the UK on finding practical and speedy solutions to derisking. 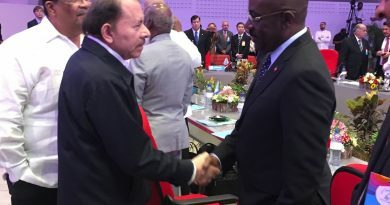 The delegation also raised the issue of the existential threat to the survival of Caribbean states created by climate change referencing the catastrophic hurricanes which ravaged the region in September 2017. The Commonwealth Heads of Government Meeting continues with the official opening ceremony to be held on Thursday 19th April at Buckingham Palace. The Meetings are being held under the theme “Towards A Common Future”. The Commonwealth is again comprised of 53 members countries with the re-entry of The Gambia into the Commonwealth family of Nations.